One look at the world around us is enough to prove that consumerism has indeed seeped into the tiniest aspects of our day-to-day lives. Whether it’s end-of-year shopping haul or the ease with which online shopping can bring the entire world to our doorstep, this monetarily driven lifestyle has put a considerable amount of strain on not just our wallets, but our environment as well. And the repercussions are unimaginable. As production explodes, so does the need for sustainable alternatives. And embracing this new wave of slow fashion is ‘Malai’ - a Kerala-based initiative that’s producing vegan alternatives to leather. Across the country, the leather industry in known to be one of the leading agents of industrial pollution. 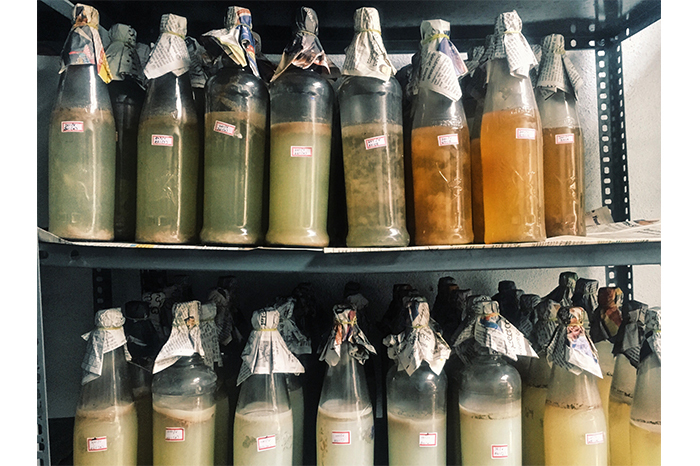 Malai is countering this by developing biocomposite substitutes to leather using sustainable bacterial cellulose, grown using agricultural waste sourced from the coconut industry in Southern India. Malai is the brainchild of Zuzana Gombosova and Susmith Suseelan. Gombsova moved from Slovakia to Mumbai for work where she met Suseelan. A material researcher and designer from Central Saint Martin’s College of Arts and Design in London, Gombsova was interested in exploring the potential of microorganisms as a resource to create sustainable alternatives. Moreover, she was particularly interested in growing and producing bacterial cellulose using coconut water. Suseelan, mechanical engineer and product designer from Kottyam in Kerala, was very intrigued by Gombosova’s research interests and immediately decided to get on board. “Susmith’s inclination stemmed from the fact that the raw material used was basically a waste product. There are multiple oil mills and coconut processing units in Kerala that could contribute to an benefit from this process. That is when we decided to begin experimenting with growing bacteria on coconut water and eventually with the material that was grown,” says Gombsova while shedding light on the chain of events that led to the inception of Malai. 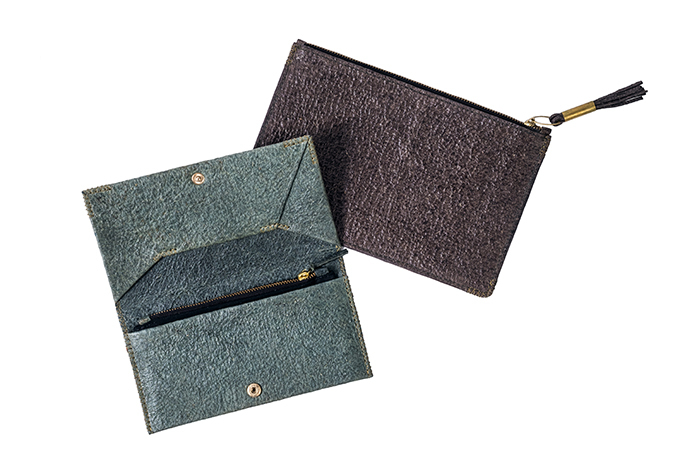 Both Zuzana and Susmith did not start with the aim of discovering a sustainable alternative for leather. “We were primarily interested in the sustainable properties of cellulose in general. That was our starting point. We wanted work with it and develop it to make it suitable for commercial use. We didn’t know what the exact outcome would be. Our initial idea was to do something with packaging material, fashion and many other different directions.” However, as they progressed with their experimentation they realised that the material had visual likeness to leather. They decided to further explore this property of the material and subsequently work on other complementary properties such as strength, flexibility, techniques for processing and usability of the material, that would make it as close to leather as possible. Malai or the raw material that acts as the base for all the material and goods created by the label is completely biodegradable and vegan. 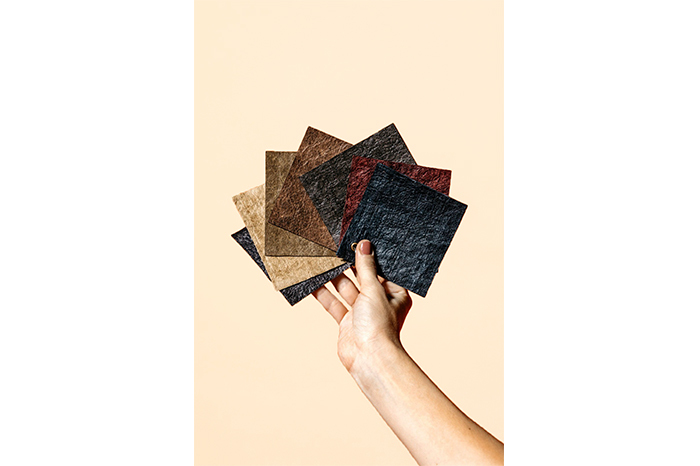 It is a flexible, water resistant, and biocomposite material that has the look of leather and feel closer to paper. “Our production process doesn’t harm any animals, it consumes less resources in terms of energy and water during manufacturing, and uses no toxic chemicals at any stage of its production cycle,” says Gombsova. The fact that the material is flexible and can be easily moulded into 3D shapes without seams, reduces its manufacturing cost. But what is it that goes into creating this sustainable substitute for leather? “Water from brown coconuts is sterilized and prepared as a nutrient that bacteria can feed on. After the bacterial culture is added to the sample, we wait for 14 days in order to let the cellulose grow. The cellulose eventually forms a jelly like layer on the surface, which is bacterial cellulose,” explains Gombsova. The cellulose is then processed in different ways to create different kinds of material. “We either continue working with the bacterial cellulose, which is transparent an very flexible, as it is or we have another process where we been cellulose with other natural fibres from banana plant, hemp an other such plants. This is then rolled out into sheets, dyed, softened, made water-resistant,” she adds. Another thing that sets Malai apart from other such labels is that they prioritise environmentally-friendly practices over design. “We focus on material design as opposed to product design,” says Gombsova. Their distinctive colour palette is reflective of this approach. The range of colours Malai offers is a result of using only natural dyes and not picked with the design aesthetic in mind. “We try to work an collaborate with people who value the sustainability attribute as much as we do. The brand aesthetic is that you can instantly recognise the material as being organic and natural,” she explains. At present, Malai partners mainly with brands based out of Europe and the United States, however, their future plans do include expansion with respect to increasing their customer base in India. Gombsova feels that despite the recent surge of awareness pertaining to sustainability, India still has a long way to go. “Sustainability in India is definitely a niche industry an is also all over the place. Sustainability with respect to India can’t really be defined with one standard explanation. But a lot of initiatives promoting sustainability on a mass scale are cropping up and that is something that we really need. Sustainability with respect to fashion is growing and has been present for a long time in some architecture projects and initiatives,” she explains. Despite co-founding an spearheading the sustainable movement that is Malai, Gombsova is in fact still the curious researcher who came to India study natural materials this geographical area has to offer. “I want to explore this entire eco-system that is so little known to humanity. According to scientists, we have explored less than 0.1 percent of the microbial eco-system around us. We have explored more outer space than we have our own planet and its resources. The vast pool of unexplored resources and knowledge is what keeps me interested,” she signs off. Visit the label’s website to know more.